Emily Cohen, M.A., CCC-SLP is the founder of the Tandem Speech Therapy, a pediatric speech therapy practice serving the south and central Austin areas as well as Westlake. When she’s not working, Emily loves to travel, cook and eat, and stroll through Zilker Park with her husband and their dog. Recognizing the need for an Austin service provider who catered specifically to families navigating speech and language disorders—and one that could offer an individualized, person-centered approach—Emily founded Tandem Speech Therapy in 2017. Since then, she’s helped dozens of Texas families (and reached thousands more through her weekly blog) set up their children for long-term success. Collaboration with families, primary caregivers, and other specialists is at the heart of Emily’s mission; as the name suggests, Tandem is all about working together. From her commitment to providing accessible in-home care, to tailoring that care on a family-by-family basis, Emily puts the ‘personal’ back in interpersonal communication. Emily is Hanen Centre certified in their ‘It Takes Two to Talk’ program. This program’s focus is on caregiver education and methods to encourage speech and language skills. 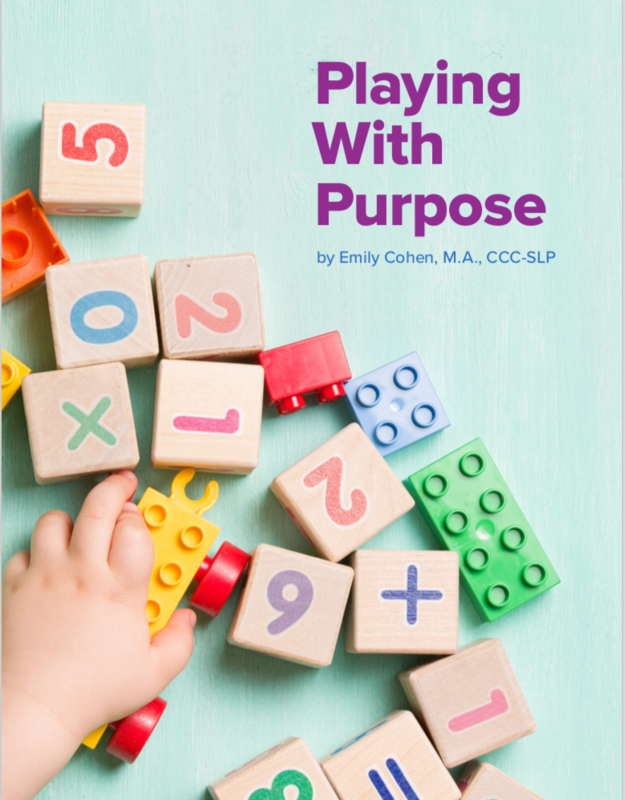 It is the foundation for the services Emily provides and serves as the inspiration for the Playing With Purpose blog series and Playing With Purpose book which was released in October 2018. The Hanen Centre is a Canadian non-profit organization dedicated to promoting the best possible language, social, and literacy skills in young children. Tandem’s speech-language pathologist Emily Cohen completed her Hanen Centre training in 2014 as a way to further her education and expand the skills she is in turn able to teach to parents of children with speech disorders. Because kids experience the most language growth in environments in which they feel comfortable (like home), part of Emily’s job is to integrate the “It Takes Two to Talk” philosophy into her young clients’ home lives via private therapy sessions and coaching. Emily Cohen, MA, CCC-SLP is licensed by the American Speech-Language-Hearing Association and the Texas Department of Licensing and Regulation.